Bitcoin is rumored to be the currency of the future, but is it something tangible? Something you can touch? Whether you already bought Bitcoin or not, this guide will help you in deciding which Bitcoin wallet is best for those that want to keep their Bitcoin safe for a long time. 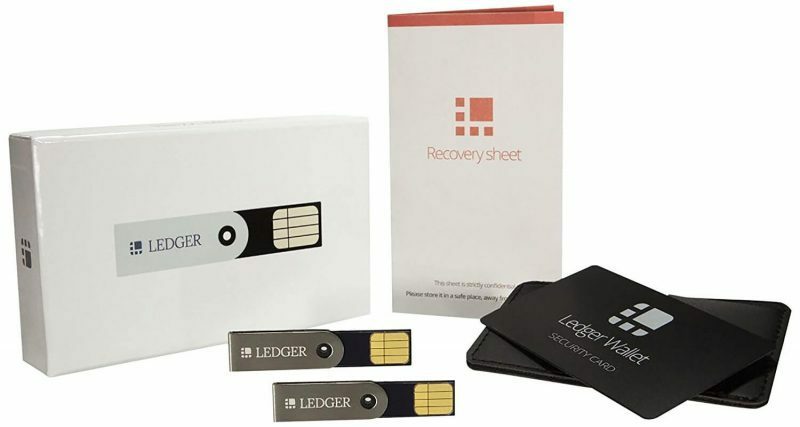 Considering all the news these days on stolen or lost Bitcoin, it is important that you choose the right wallet. What exactly is a Bitcoin wallet? How do you create a Bitcoin wallet? Just like how you would hold cash inside your wallet, a Bitcoin wallet is something (or somewhere) you keep your coins in. Although these coins aren’t tangible, it is still storable inside an online wallet, hardware wallet, or hot wallet. 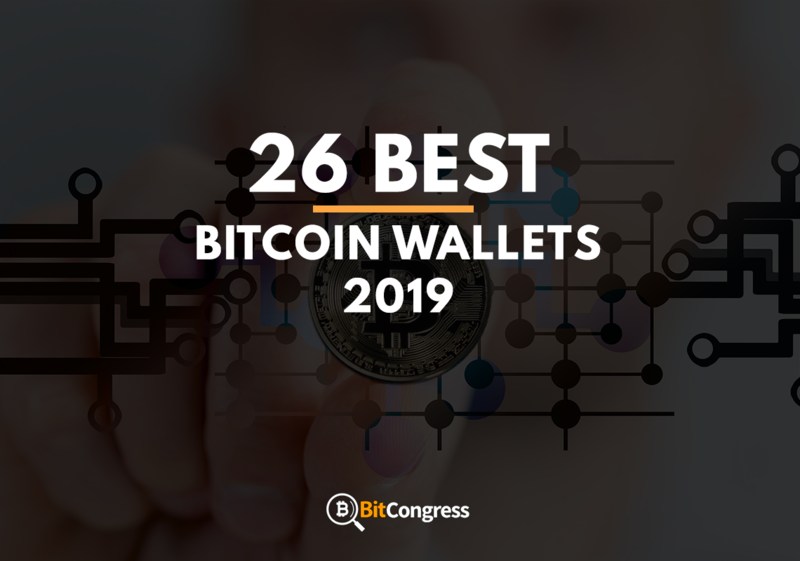 Knowing the types of wallets available and the pros and cons to each will help you to choose which one is the best fit for you. Hardware Wallet – These wallets are by far the best types of wallet to have. This is because, without a private key and the physical wallet, no one will be able to access your wallet. 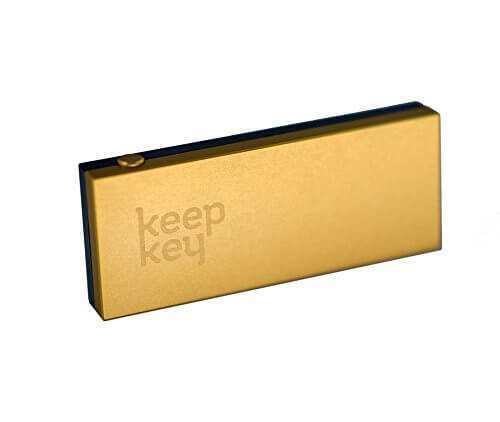 Hardware wallets are physical devices that you connect to your PC through a USB drive to allow you to store/access your Bitcoins. They come in various shapes and sizes, with the popular ones being in the shape of USB drives. Software/App Wallet – These wallets differ in terms of security and features, but these are the most popular types of wallets. This is because there are lots of free options available and software/app wallets are often easier to use. Although these wallets are secure, they do have a chance of being hacked, so be wary of using them if you want to hold your Bitcoins for a long time. Online Wallet – These wallets are ones that allow you to keep your Bitcoins in an online wallet that you can access anywhere with a simple username and password. These are by far the easiest to get hacked (happens more often than you may like) and are the last option we recommend. Although they are easy to use and have attractive websites, hackers can get inside your wallet a lot easier compared to the other options. To create a Bitcoin wallet, you must first choose which type of wallet you want. If you want to go with the recommended hardware wallet option, you must follow the directions that come along with the hardware wallet to set up your wallet. This normally means you must store a private key that comes with the wallet and set up your Bitcoin address. This is the case with software/app/online wallets as well. Since each wallet has different instructions for setting up a Bitcoin wallet, we recommend that you follow the instructions that come with the wallet of your choice. In our opinion, setting up a wallet with online wallets are by far the easiest, and setting up a hardware wallet is the hardest. Below, we will recommend the top Bitcoin wallets you can use right now. 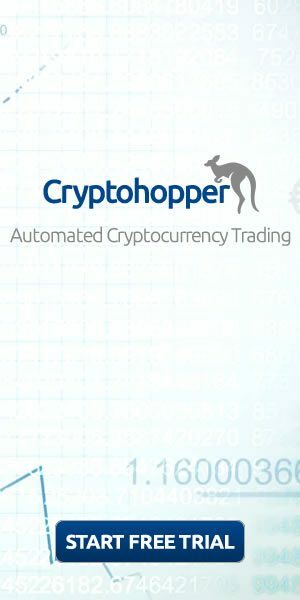 The list below will include a mix of hardware/software/app/online wallets so that you have many options to choose from. Read our pros and cons and see which wallet fits you the best. There is a new hardware wallet in town. And it’s great. 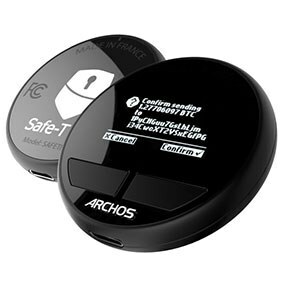 ARCHOS Safe-T mini is the first hardware wallet coming from a listed company. They started from Trezor open-source code, and benefiting from their strong background in security and manufacturing, they designed a new product around a CryptoMemory, a chip dedicated to security that is used to store cryptographic keys and protect the PIN, and that is made in France and available for only 49.99€. The embedded screen is large enough to display the entire transactions information and let the holder check the transaction details before confirming physically using the buttons. On the Software side, which will be open-source and available on GitHub, the Safe-T Mini allows recovering its content into a new device if lost or stolen, using a 24-word recovery seed, generated when Safe-T Mini is run the first time. You can also use a passphrase to prevent 5-dollars-wrench-attacks. This device for now only supports main cryptocurrencies. It supports Bitcoin, Bitcoin Cash, Bitcoin Gold, Dash, Ethereum, Ethereum Classic and ERC20 tokens. But it is actually 75% of entire cryptocurrencies marketcap. The ARCHOS team is said to be working to add new cryptocurrencies compatibilities. This is the #1 Bitcoin wallet we recommend because it is secure, easy to use, and affordable. 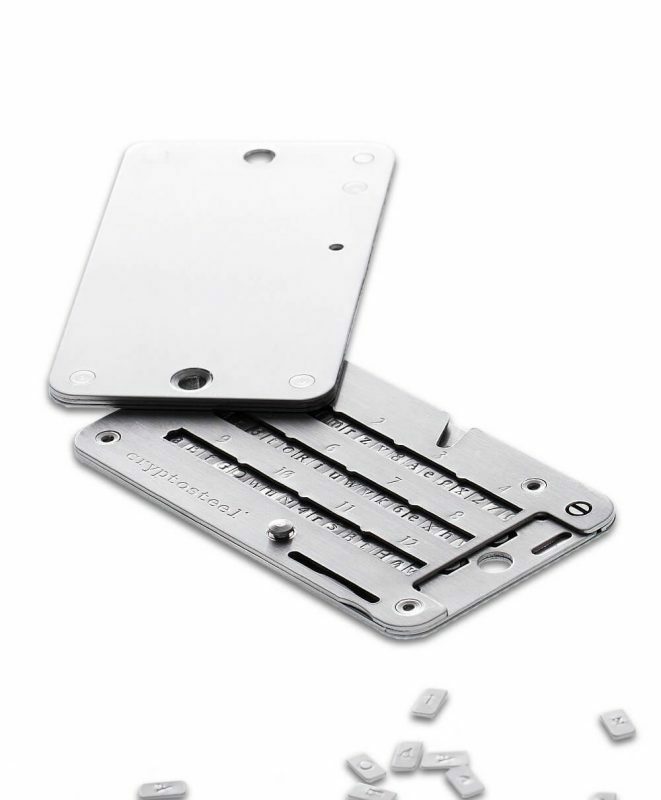 This hardware wallet is affordable compared to similar wallets out on the market today. Compared to the cheaper wallets available, this wallet dominates those in terms of features and security. Similarly, when compared to the high-tier wallets available, this wallet has similar features to those while maintaining an affordable price. The physical buttons on the sides of the wallet allow better security. To successfully transfer Bitcoin, you must press both buttons on the sides of the wallet at the same time. Since transactions cannot be confirmed if you don’t press both buttons at the same time, this ensures that no hacker can access your Bitcoins. This device doesn’t come with passphrase support. A passphrase support is a custom text that you must know in addition to your recovery phrase. Although people make sure to keep their recovery phrase in a secure spot, it can still be stolen, but passphrases are often phrases that are memorized. This ensures that a hacker cannot access the Bitcoin by having the wallet alongside the recovery phrase. If you are looking for a compact hardware wallet with a digital screen, this one is a great choice. Compared to the bulky, meaty hardware wallets available, this one is one of the most compact options available. If you will be traveling around with your wallet, then a compact one like this is a great choice. This wallet is one of few that comes with a digital screen. This screen allows you to see various information regarding your wallet such as: balance, transactions, pin, etc. Compared to some wallets, like the one above, this wallet is a bit more expensive. At a price of $99, it may be too expensive for some people as there are cheaper options available. 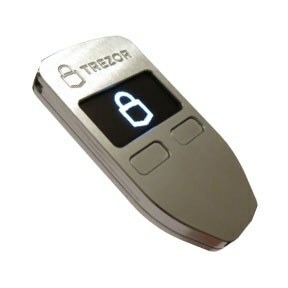 If you want a small device that may even be mistaken for keys (due to its small size) with a top of the state encryption, then TREZOR might be worth looking at. 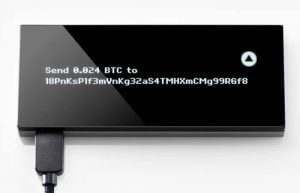 This wallet comes with a display that will allow you to verify every transaction and be more informed about what’s going on inside your hardware wallet. Out of the wallets that offer a screen, this wallet is affordable. Although there are a few select brands that offer cheaper wallets with a screen, this one comes with other advantages such as its minimalistic design and powerful cryptography. If you are looking for a budget-friendly wallet, you won’t find it here. As this is a $99 hardware wallet, it isn’t a wallet that many people would be able to afford easily. Other than its price tag, there aren’t any other cons in our opinion about this hardware wallet. As GreenAddress is one of the securest online wallets available, we highly recommend it to those that want to use an online wallet but worry about the security flaws that come alongside online wallets. As this online wallet is a “multi-signature” wallet, it is a lot more secure to use this wallet compared to others. This is because you are controlling one key while GreenAddress controls the other key, denying hackers of accessing the Bitcoin unless they have both your key and GreenAddress’ key. GreenAddress can be accessed on mobile, giving you much more flexibility of how you want to access it. Due to the increased security, it might be more of a hassle for you to access your wallet. If you are keeping a smaller amount in Bitcoin, it might not be worth the hassle to use this wallet and instead, use a less secure one for better accessibility. If you have an android device, then Mycelium is the way to go. Just like how Amazon is well-considered in the online-shipping industry, Mycelium is well-considered in the Android Bitcoin wallet industry. This wallet has the highest rating out of all the other Bitcoin wallets available, making it well respected and a wallet you can trust. There are many different features you can use such as the hardware (offline) accounts, GLIDERA for buying/selling Bitcoins, and even a marketplace where you can exchange Bitcoins locally, straight from the app. It isn’t as secure as hardware wallets as if someone steals your phone and has access to it, the person can easily take the Bitcoins out of the wallet into their own. Smartphones can also be hacked a lot easier than hardware wallets, making your coins a lot more vulnerable and easier to steal for hackers. 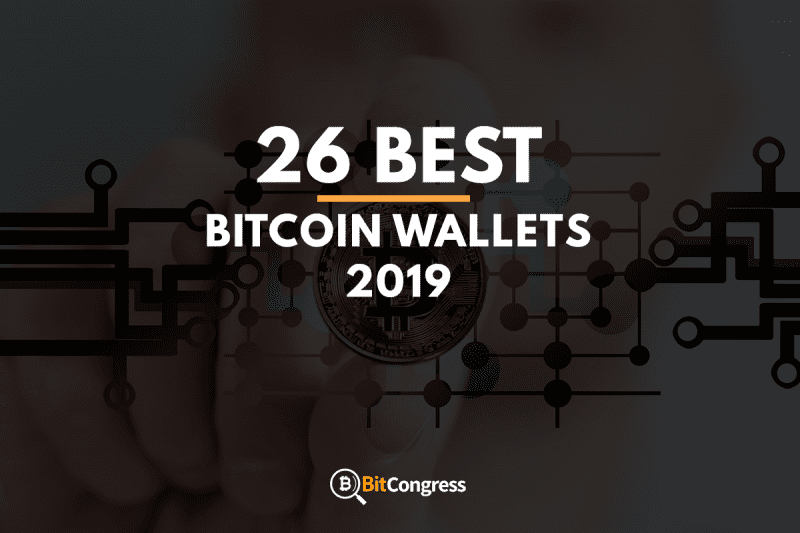 Although this hardware wallet has a price that dwarfs most on this list, it is one of the best that you can buy if you want a secure, quality wallet that will keep your Bitcoins safe. As this wallet doesn’t come installed with any operating system, it doesn’t have the vulnerability risk that other wallets that do come with an OS do, because viruses target information within an OS. This allows this wallet to be secure from any viruses or malware that may attempt to steal your Bitcoins. This wallet doesn’t support just Bitcoins. It can also support other popular coins such as Dogecoin, Dash, Ethereum, and Litecoin. One definite con is the price of this wallet. It is multiples of other quality wallets that can suit the purpose of storing Bitcoins in a secure manner just fine. If you want to save money, this wallet is not for you. 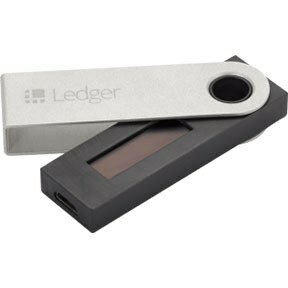 If you are looking for an affordable, slim option, then this hardware wallet is a great alternative. It comes with two wallets so that you can be sure to never lose your entire wallet. This wallet is very secure. This is because there are two levels of protection – malware protection and state of the art security. These two features will allow you to protect your wallet from malware coming from your PC and from other sources. Having two wallets with the same address allows you to use it from both directions. Even if you lose one, you’ll have access to another and by having two, you’ll be able to place it in two different locations to use conveniently. As these are slimmer and more compact in design, it is a bit easier to break. So, you’ll have to be a lot more careful with this wallet compared to the bigger, quality ones that can withstand drops. Officially recommended on Bitcoin.org, this offline wallet gives you the control you need for secure, transparent transactions. As this wallet is recommended by official sources and is one of the oldest wallets out there, it has a lot of credibilities and is established in the Bitcoin community. With this wallet, you’ll be able to control how much you want to spend per transaction for the miner fees. Especially with the increased rate these days, this is a feature you want to investigate since many online exchange sites may take fees that you may not even know about. The site that hosts the wallet is very outdated and may look both confusing and not deemed trustworthy. However, it has been around for a while, so we still suggest you check it out. Hackers may be able to get inside your wallet if your computer has malware of viruses, so do be aware of this vulnerability with wallet installed directly inside your hard drive or online. 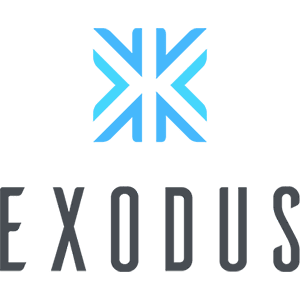 If you are looking for a desktop wallet that offers full nodes and high anonymity, then Exodus is worth looking at. With a sleek dashboard design that allows you to have an overview of your portfolio, you’ll always be able to keep up with your assets and how much of every coin that is supported you have. Compared to the wallets that offer support for only the top three most popular coins, this wallet allows you to store much more including Dash, Litecoin, and more. With this wallet, you won’t be able to use 2FA (2-factor auth) to secure your wallet. As this feature is vital in keeping your crypto as safe as possible, this is one security issue that this wallet has. 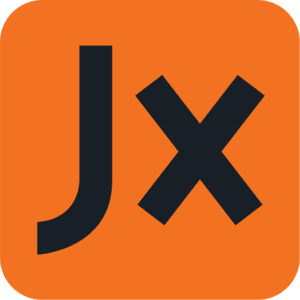 If you want to manage your coins for a wide variety of coins, then Jaxx is a crypto wallet that you should investigate. As Jaxx is multi-platform, you can access your wallet using the same wallet across many different devices. Even if you are on your phone, you’ll be able to transfer coins from your wallet to others using your phone even though you mainly use Jaxx on your computer. Since the private keys that Jaxx provides you when you first open your wallet are stored on the device itself, you won’t have to worry about hackers getting into Jaxx and stealing your coins, as it’ll be stored on your physical device. Transactions may take a while to show up compared to other wallets and starting up the app itself takes a while. So, if you are one that likes snappy, fast wallets, Jaxx might not be the best wallet for you. Although this product isn’t exactly a wallet, it can act as a security feature to give you more security with applications that require 2-factor authentication. Now, you don’t have to get out your phone and turn on Google Authenticator to get access to your account. 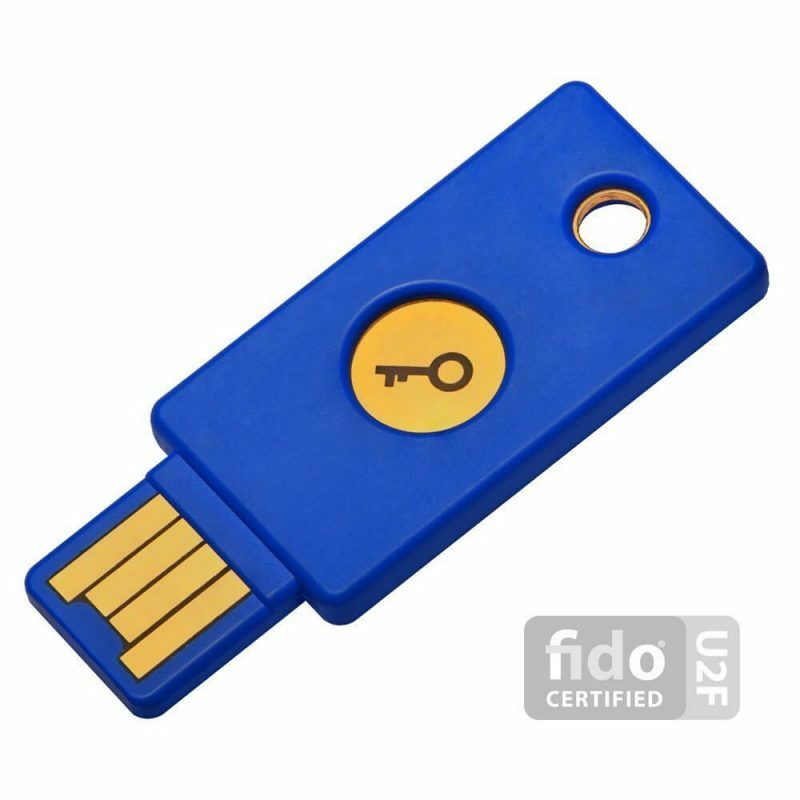 All you must do is connect this USB device into your computer after authenticating it to get access to the account you want to get into. This security key works with most popular applications, but in our case with crypto coins, it works out of the box with Dashlane. This way, you can protect your coins more securely and get access to them more quickly. However, do note that this product isn’t a replacement for a wallet as it can’t hold any cryptocurrency itself. You will have to find another alternative for a wallet that offers 2FA if you want to use this product to secure your account. The price may be a bit steep for many, considering that it is basically just another form of 2FA, but much more secure and faster to use. If you are looking for a cheaper alternative to transfer Bitcoins or sell Bitcoins physically without worrying about miner fees, then this is a method to think about. As each individual USB stick itself is decently cheap, adding coins to a drive and giving it to someone physically will turn out to be cheaper them the coins through the Bitcoin network. As the private key of each drive is stored inside the drive, you won’t be able to access it unless you have the physical drive. This makes it easier for hand-to-hand transactions to occur. All the information you need to transfer and access the wallet inside the USB is stored inside the USB as separate files, so if you want to take any coins out of the wallet, you can do that. The USB is small, so if you’re someone that loses their keys frequently, this wallet might not be the best for you. However, if you can keep in a safe or somewhere recognizable, then this con can be navigated around. See the current Prices here! As we have explained before, online wallets are a terrible idea if you are planning to keep a lot of crypto for a long time. However, Coinbase is one of the largest exchanges in the world and offers a variety of features that you might be interested in. 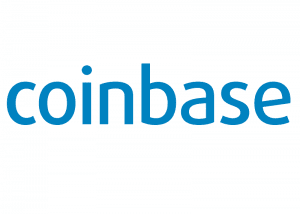 As Coinbase is one of the biggest exchanges, it has the profits to invest heavily into the security of the site. Since other online wallets have been hacked, Coinbase has increased its security to protect its users’ coins. You can sell any coins you have at the standard price to Coinbase itself and withdraw the money to whatever payment method you prefer instead of going through the hassle of exchanging your coins to USD. Coinbase has fees that are high if you do a lot of trading. Especially if you are going to be selling back to Coinbase after you buy, you might be seeing a dip in profits if the price of the coin you bought haven’t gone up much. Online wallets always have a higher possibility of getting hacked due to more vulnerabilities compared to hardware wallets, so do keep this in mind when deciding whether to use Coinbase for its convenience or whether the convenience is not worth it. Electrum is a secure, software wallet that can be downloaded on your PC and is one of the most reliable desktop wallets you can use. The software itself is very simple to navigate and use. All you must do is install it, setup and store your private keys, and send some coins to store inside your newly created Electrum wallet. Electrum is reliable and will be there when you need it. It is also very secure since it operates on your desktop only and only you will have access to the private key that is created when you open your wallet. When you store Bitcoins on your Electrum wallet, it’ll be converted into mBTC. It’ll take some time to get used to it, but in the beginning, it’ll look weird and you’ll have to move the decimal a few times in your head to get a feel of how much coins you have in BTC. There isn’t a whole lot to the software. This is good if you only want it to store and transfer Bitcoin, but if you want some of the functionality that comes with online wallets such as Coinbase, you won’t get it here. This doesn’t require any devices, but just you and a piece of paper. By printing out or writing out your private keys and QR codes, you’ll be able to safeguard your wallet by having all the information on a few pieces of paper. No hacker will be able to steal your information. Unless you are held at gunpoint and ordered to hand over your paper wallet from your safe, no one will have access to your wallet. You also don’t have to worry about reliability and hidden fees because no one can touch or deduct anything out of your wallet unless you directly do it yourself. These papers are a lot easier to lose and can’t be recovered if it is burned, lost, or covered in ink, so make sure to do everything in your power to keep it as safe as possible if you do go with this route. It is a lot more confusing to make a paper wallet compared to an online or hardware wallet, so if you aren’t that tech-savvy, this route may be a bit too hard for you. Download the Printable Wallet here! If you’re looking for a straightforward way to send and receive Bitcoin and store it on your phone, then this android application is a good alternative to the options above. The app is very convenient and easy to use, especially for those that have never used a Bitcoin wallet before. It is user-friendly, which means that there are restrictions that you won’t usually face with complex wallets. You can also purchase Bitcoins straight from the app which is convenient if you don’t want to learn the ways of purchasing Bitcoin. It isn’t the safest wallet out there. It does have OS vulnerabilities and can be breached if the hacker is good enough and if your device doesn’t have enough security measures set in place such as 2FA. When purchasing Bitcoins straight from the app, be aware that their fees are a lot higher compared to exchanges, so buying coins somewhere else then transferring to the app might be a better choice. This wallet is an old, reputable desktop wallet that you can use to secure your wallet from online hackers. As the wallet can be setup as cold-storage, your wallet will be a lot more secure and not as vulnerable as online wallets. If you are planning to store a lot of coins for a long period of time, desktop wallets like Bitcoin Armory are a good choice. Since this wallet was first built a long time ago and was also tested for years, you can be sure that the wallet will be reliable to use and prone from bugs or vulnerabilities compared to newer wallets. As it is old, it will be a bit slow and old-fashioned. However, a wallet functionality is the most important with aesthetics coming last, so don’t let this be a con that prevents you from using this wallet. This is another wallet that is old and reputable that you can use without worrying about reliability issues. This wallet is both recommended on Bitcoin’s official website on Bitcoin.org and was created many years ago. This means that the wallet is secure and reliable enough to be recommended by an official source, so if you are looking to use one of the officially recommended wallets, this one’s for you. Like Bitcoin Armory, the wallet is a bit outdated and the interface doesn’t look as pretty as the new and upcoming wallets. However, it still functions how it’s supposed to, and we still recommend it for those looking for a secure, desktop wallet. Created by one of the biggest Bitcoin payment service providers, Bitpay, Copay is a great, secure alternative to storing your Bitcoins. Copay is a multisig wallet, which means that more than one signature is required to successfully send a transaction. This increases the security of your account and will prevent malicious transactions from happening without your knowledge. The code of the wallet is open source, so if you ever want to dig into the code to see if there is any code that will steal your Bitcoins down the line, you are free to do so. The entire service revolves around central verification. If you aren’t into this kind of verification where a central account is involved when sending transactions, then Copay isn’t for you. This wallet is also a bit hard to use for beginners due to the multisig concept, so if you are new, we recommend some of the other options available above that are more beginner-friendly. 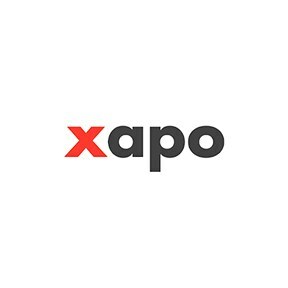 If you are a beginner that doesn’t fully understand the concept of Bitcoin and how it is used, then using Xapo will make it a lot clearer to you. By allowing you to exchange your Bitcoin balance with foreign currencies without fees, you’ll be able to experience the true potential of Bitcoin and its unique uses. Xapo holds your private keys for you. This may be either a pro or con, but a pro of this is that if you get hacked, your wallet will stay safe due to it being stored inside Xapo’s servers, not yours. Since Xapo holds your private keys, if their server gets hacked, you can say goodbye to your wallet as there will be no way to access your private keys once they get stolen. Xapo isn’t available in every state/country, so getting access to this site isn’t the easiest if you aren’t in a popular state/country. This wallet is a bit unique as it is a hybrid wallet; both you and the server will hold the encrypted private keys that will allow access to your wallet. If you accidentally wipe your PC, you’ll still be able to access your wallet due to the encrypted private keys being stored on Strong Coin’s servers. The wallet offers a variety of features such as giving you a PDF document of all the transactions made on your wallet for transparency. Hacking of the main server is still a vulnerability, so do keep that in mind when choosing a wallet that is connected online in any way, shape or form. If you do decide to go for the paper wallet route, then this product is something to look at. Stores your paper wallet in a safe, secure location that is only accessible by solving the lock. 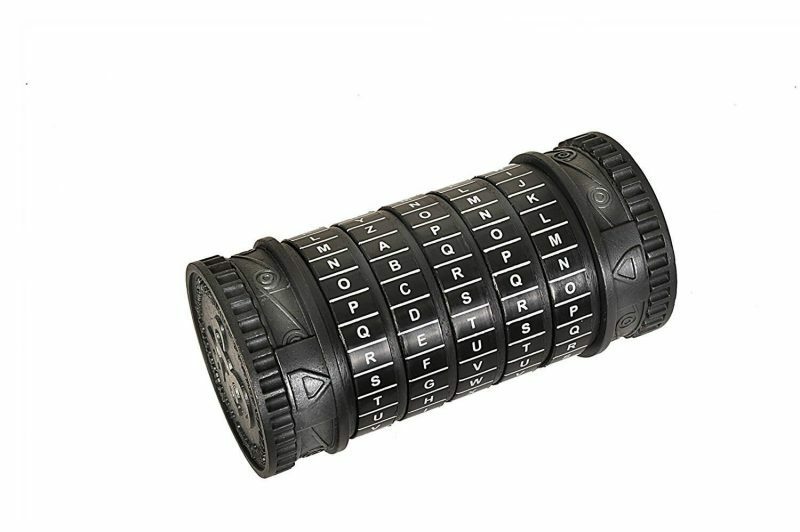 The 5-letter combination will keep your paper wallet safe, especially if this product is placed in a safe as well. The heavy cast metal will prevent the casing to break on impact from most tools. Since the combination is only 5 letters, it can be easily hacked and broken into. By using a heavy tool, the cast metal can be broken into as well, so we recommend using this if you are looking for a fun option to store your paper wallet! This is another option if you are planning to go down the paper wallet route. This product is almost indestructible, as it can withstand up to 2100 F and can survive immense amounts of pressure from weapons and tools. It is on the expensive side and unless you want to be incredibly safe with your Bitcoins, going with a hardware wallet might be a cheaper, beginner-friendlier option. Although outdated, this wallet can still perform its duty of storing, sending, and receiving Bitcoins. It is very simple to use and even most beginners will learn how to use the wallet in a couple of minutes. All you need is a Chrome browser to be able to use this wallet as it will build into your browser as an add-on. If you lose access to your computer, it’ll be hard to get access to your wallet unless you have your private keys and other required information with you. The wallet is decently outdated and won’t look as great as other wallets. The functionality isn’t as good as other wallets as well, so if you want a nice-looking wallet, you won’t find it here. Although this online wallet has vulnerabilities, it has many benefits since it is the #1 online wallet you can use now. With its simple interface and tested vulnerabilities, it is the best you can get with online wallets. The site itself is made with newbies in mind. Even if you don’t have that much experience with Bitcoin wallets, you’ll be able to navigate through the site. Blockchain.info is notorious for having high fees and having slow transactions, so if you don’t want to experience this, then we recommend that you not use this site. The site is also very vulnerable to hacking due to it being an online wallet. As you may have heard the news, online wallets are a lot easier to hack than hardware wallets do to there being more vulnerabilities. So, if you are considering using an online wallet like this one, do consider these vulnerabilities into consideration. 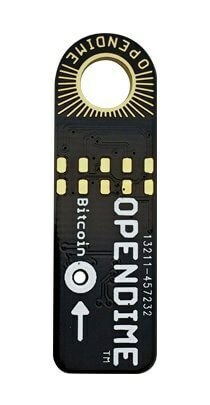 There are tons of Bitcoin wallets available, whether it be online, hardware, paper, or hybrid. Whichever one you choose, make sure it is secure and prone to most vulnerabilities that are already known. If the wallet is vulnerable to known viruses and malware, it means that the publisher isn’t making changes. Make sure to use wallets that are reliable as well, so that you can access your wallet when you need it. Bitcoin is the currency of the future, so choose a secure wallet and hop on the train today!